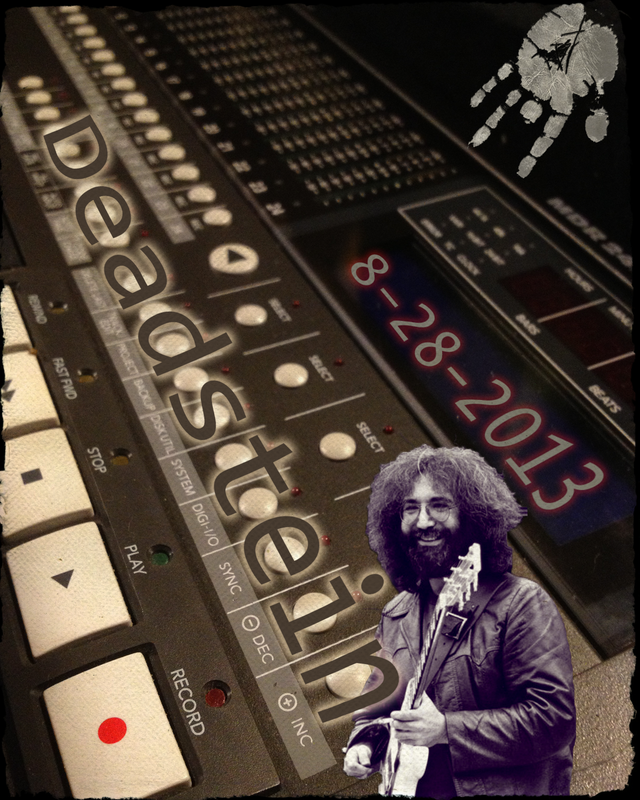 For the second week in a row, Deadstein had the same line-up to end the summer and the Jewish year of 5773. Keep bringing it on people! We had Donna D for the first set and some of set two and Alan was away, so I was solo in playing guitar. Additionally, for the 4th week in a row, I lugged my equipment to the studio to capture a multi-track and I went home during the week and and mixed it to death. It’s been a great experience, I haven’t taken on the Deadstein multi-track in years; we had a few recordings with Jason, so it feels good at this time, no matter how grueling it is to do from so many perspectives. We had the same basic setup as last week, so not much to report with the exception of the fact that Scott’s Neumans are in fine shape and not needing any repair as falsely assumed a few weeks ago. One of each was one each overhead for each drummer. Funny thing happened with respect to Kevin’s virtual rig. I noticed that the demo period for the the bass amp modeler I had been using on Kevin for the past 2 weeks or so was due to expire in one day. I contemplated purchasing it at the moment but instead I decided I would for rather just initially render his track with the bass amp modeler and then complete work on this week’s mix after the demo expired, but I would have already rendered the bass amp sound. I set it up to work and it takes about 2 hours to complete for the entire night’s worth of music, but I guess the demo expired with 20 minutes left in the rendering process thus leaving me with the last 2 songs, I’ll Take a Melody and After Midnight, without the luxury of the bass amp modeler. That’s okay because I was wondering what I was going to do for future weeks so this gave me two songs at the end of the night that weren’t that good to work on the eventual sound. This multi-track stuff is pretty tiring to keep up on a weekly basis, so we will so how far I can go, so in the meantime enjoy it while you got it. Until we go at it again, Multi-Freak Out!